Most orders are produced and shipped out within 3 weeks of the order date. If you have customer orders or want a color that’s not listed, please contact us. We accommodate customization! Don’t see your gun model? No problem, just email us with your model. It will take approximately 3.5 weeks but we can make it happen! First Responders & Military receive 10% off with each order. Just send us a pic of your ID! 100% of our parts and materials are purchased through USA manufacturers. ALL of our products are produced and assembled in Alaska by Alaskans. We use only the highest quality materials available and hold ourselves to an extremely premium quality standard. Each and every piece of gear we make is checked for quality, fit and retention before it leaves our shop. A holster is a piece of life-saving equipment; that has to work when needed. We build ours to be durable enough to survive a prolonged fight, but comfortable enough to wear all the time. Each Last Frontier Holsters is handcrafted in the USA by an Alaskan. 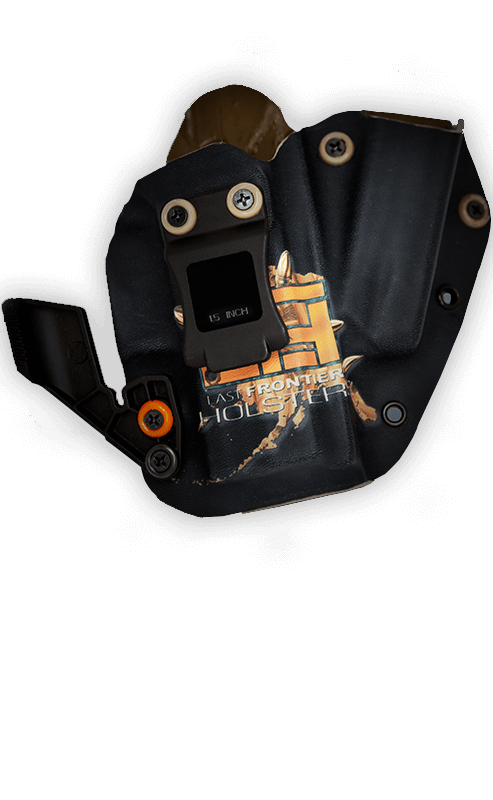 Welcome to Last Frontier Holsters, your source for gun holsters that fit like a glove. We are dedicated to giving you the very best with a focus on customization. We make holsters customizable by color, size, design, and also offer multi-purpose holsters. My name is Frank Restrepo and I am the owner of Last Frontier Holsters. After taking my concealed gun training class, I searched online to figure out what type of holster I would need and wanted. I ordered holsters to be shipped to my home, paying for the product. I waited several weeks for my purchase to arrive only to end up with a product that was not exactly what I was looking for. This drove me to do intense research on holsters and inspired a passion for my new hobby. This inspiration has turned into my business that has spread through word of mouth and recommendations from customers who were very happy and satisfied with the holsters we have customized for them. We continually strive to offer the best quality and constantly adapt to our customer’s needs. If you are interested in having a customized gun holster made for yourself or a loved one, or if you have any questions, please do not hesitate to contact me at (907) 229-0715 or at lastfrontierholsters@gmail.com Prices start at $60. If you would kindly pass this information along to your family, friends and acquaintances, your support would be tremendously appreciated. We are a Alaskan-owned business, and have dedicated our lives to serving our family, communities and country. We know the materials and designs to make sure our kydex holsters are rugged and durable. 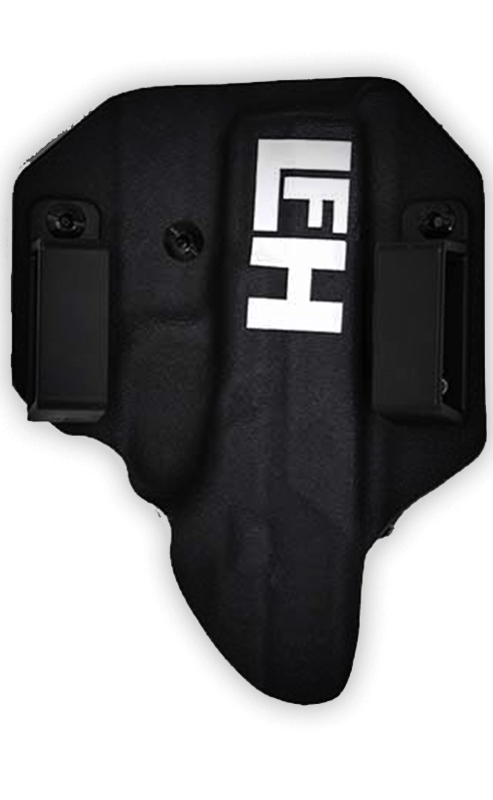 Our holsters are purpose-built; handcrafted and designed specifically for the Alaskan lifestyle. We design and build our holsters with all of this in mind. We care about our customers and want them to be ready when the situation warrants. Premium Quality Kydex pistol holsters for tactical, military, and personal firearms. Start your order online today! Handcrafted. Each customer holster is designed by you and built from the ground up by us. We mold the holsters to your specifications. The Highest Quality Custom Holsters MADE IN the USA. Locally owned & operated by Alaskans for Alaskans! Comfortably Innovative Design with Defense In Mind. Shop Online Today for Last Frontier Holsters. Handcrafted Kydex Holsters. Let us build your Kydex® holster the way you want. Kydex® holster by Last Frontier Holsters is the last holster you will ever need to buy for your carry gun. Contact us and we will work with you to meet your needs and deadlines. Send us a note, we are happy to help. Carry credit cards, business cards, and cash in an ultra-thin wallet! Our one piece, no hardware construction offers minimum bulk and is super light-weight. The wallet can be carried in your pocket or clipped to the inside of your waistband without showing everyone what you’re carrying. Our Chest Holster is perfect for the Alaskan lifestyle. 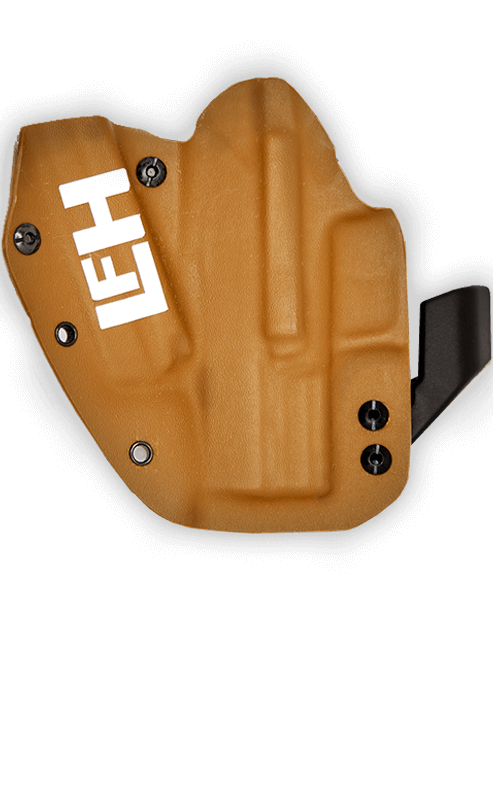 Whether you are hiking, four wheeling, snowmachining, hunting or fishing this is the holster for you. Tons of features available for this model. Our Magazine Pouch Doubles are handcrafted with the same attention to detail and care we give to our Last Frontier Holsters. Designed to fit a wide array of firearm magazines which will accommodate many single and double stack magazines. Our OWB (Outside the Waistband) Holsters are perfect for open carry. We offer basic solid colors, camo & graphics or carbon fiber designs available, so you can choose a style right for you! Personalize your own with Last Frontier Holsters. Choose the holster that works best for your lifestyle. Choose from Basic Color, Camo & Graphics, Carbon Fiber, or Custom Designs. Add your holster to the cart and complete our easy, online, checkout process. Let us know where to send your holster! We appreciate your purchase and request your feedback on social media or product reviews.